I am a member of the Public Relations Society of America (PRSA), as well as its San Francisco Bay Area chapter. The latter asked me to respond to questions based on my 20+ years of experience in the field. My full responses are below. Why did you join PRSA? What is one of your favorite benefits of being a member? If you claim to practice a profession, you should take three actions. First, join its professional organization. Second, advocate for best practices. Third, mentor up-and-coming practitioners. I joined PRSA in 1993 in support of the first action. Since then, I’ve done the other two. I speak, coach, and mentor at the chapter, district, section, and national levels. The hard work of dedicated of volunteers makes possible professional organizations like PRSA. Yes, paid staff members offer indispensable support. But practitioners don’t step forward, all the staff support in the world won’t matter. The organization will wither away and die. That’s why I'm inspired by the tireless, dedicated volunteers who lead PRSA. They enable chapters like the one I belong to in the San Francisco Bay Area to persist through good times and bad. You have been in public relations for over two decades. Share a few ways it has changed over the years and where you see it going. I landed my first agency job in 1988 and chose to become self-employed in 1992. Few professionals were working for themselves then. And many of us who chose this route often had our sanity questioned! We had to figure things out on our own. There were few role models. Today, self-employment and entrepreneurship are much more common. Clients and prospective clients consider us legitimate! Media has democratized, thanks to the Internet, social media, and related technologies. The competition for information increases. With it comes a lack of tolerance for poor quality information that's sloppily presented. This development raises the bar for our work as public relations practitioners. We have to continue to strive to improve our skills. Otherwise, our services may become dispensable. Non-public relations professionals at consulting and other firms will benefit. Untrained individuals with limited understanding of effective communications will as well. Finally, lines between public relations, advertising, and marketing will continue to blur. Throw in concepts du jour like “strategic communication” and it’s harder to figure out who does what. And in the eyes of the client it may not make much difference.Still, we cannot become complacent about our skills, insight, and ability to contribute. I’m frustrated when public relations professionals turn a blind eye to this issue. I recall a conversation with an agency principal about 20 years ago. The discussion turned to defining public relations. He responded flippantly, “I don’t care what they call it as long as they pay my bill.” We must care deeply about making the case for what we do every day. We must proclaim the value we deliver to our clients and organizations. We must act with all due speed lest our profession fade into oblivion. Tell us about one of your most memorable experiences during your career. I've been a public relations practitioner, educator and professional development consultant. I’ve been on the front lines. I've helped clients to generate awareness, change behavior, and/or achieve other goals. I’ve provided education and training to professionals charged with these responsibilities. Above all, I relish opportunities to facilitate groups that are creating innovative public relations campaigns. That might be in the classroom as an academic exercise. Or in the conference room as they grapple with their latest client assignment. The quality of the work they’ve delivered has been amazing. I often get more excited about their success than they do! 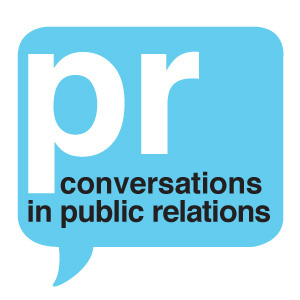 What’s your best advice to the new generation of public relations professionals? Success in public relations requires an insatiable curiosity about the world around you. To this end, I urge practitioners to cultivate intellectual interests outside the field. Let's say you majored in history, as I did. You can explore the history of time periods, disciplines, or geographic regions. Or you find any other subject to explore. Such immersion changes your perspective for the better. You’ll gain new, exciting insight. You’ll see old problems in new ways. Your horizons will expand by leaps and bounds. Most important, this ongoing effort will help you improve the quality of your work. Besides, broad, deep interests make you interesting to others.